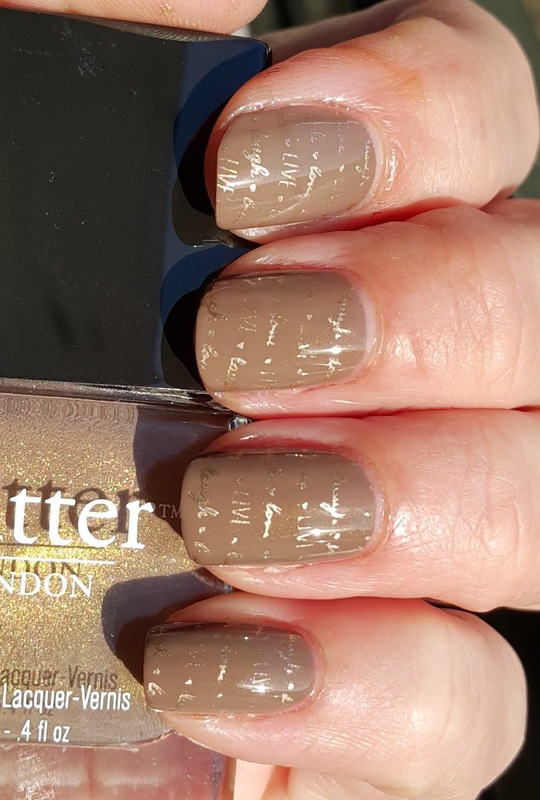 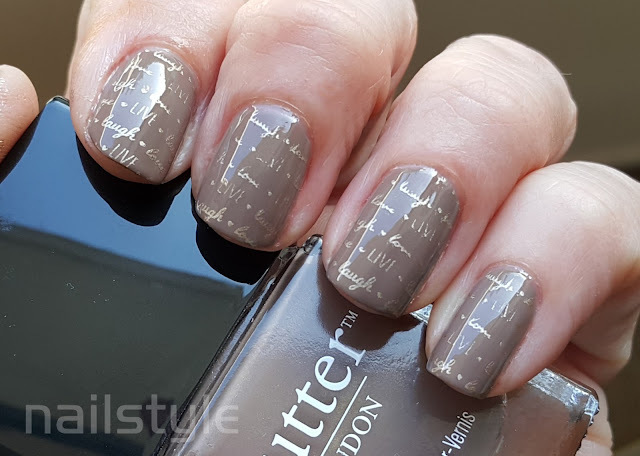 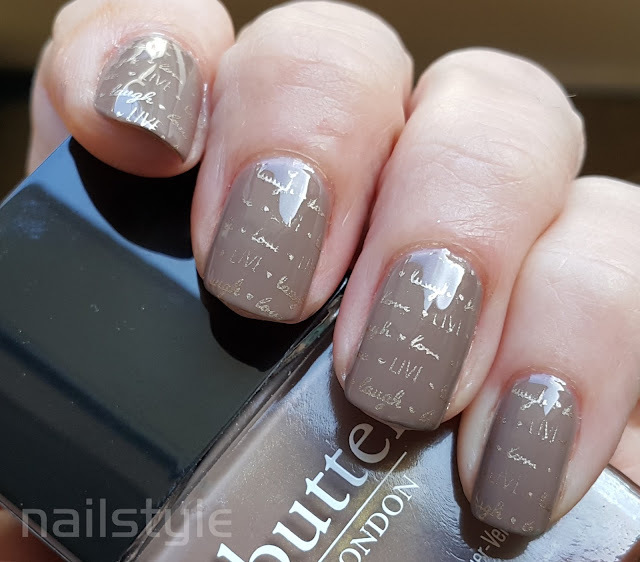 An old favourite - Butter London Fash Pack - a warm taupe cream polish. 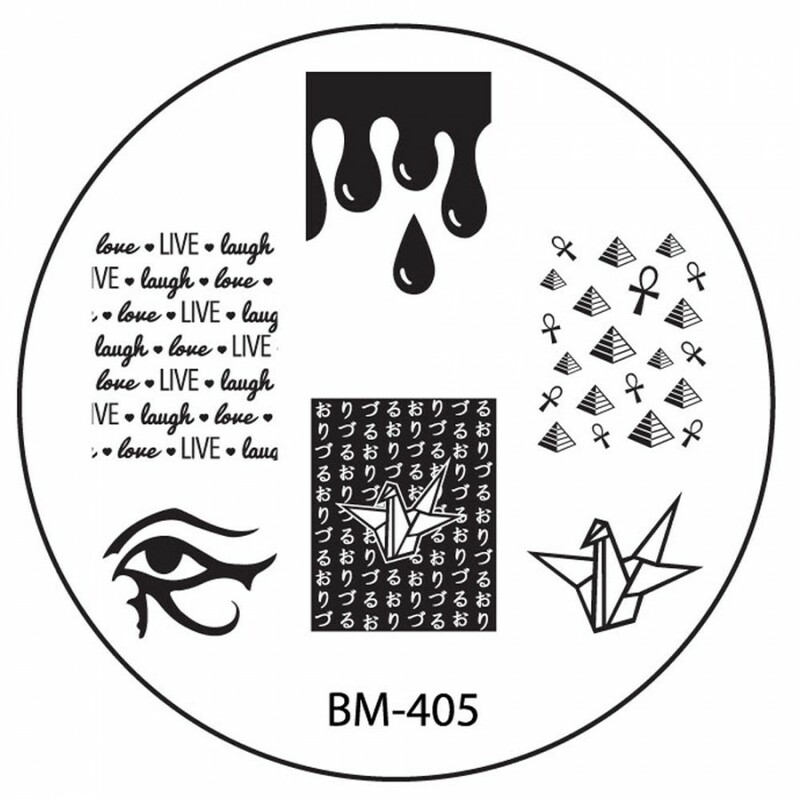 Stamped with a new, or rather unused plate from Bundle Monster. 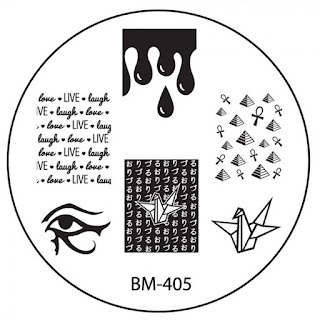 I quite like this - it reminds me of the embossed writing on the back of luxury milk chocolate!